It's Turing, except with some annoying things fixed and other things (like arrays) left out or broken! 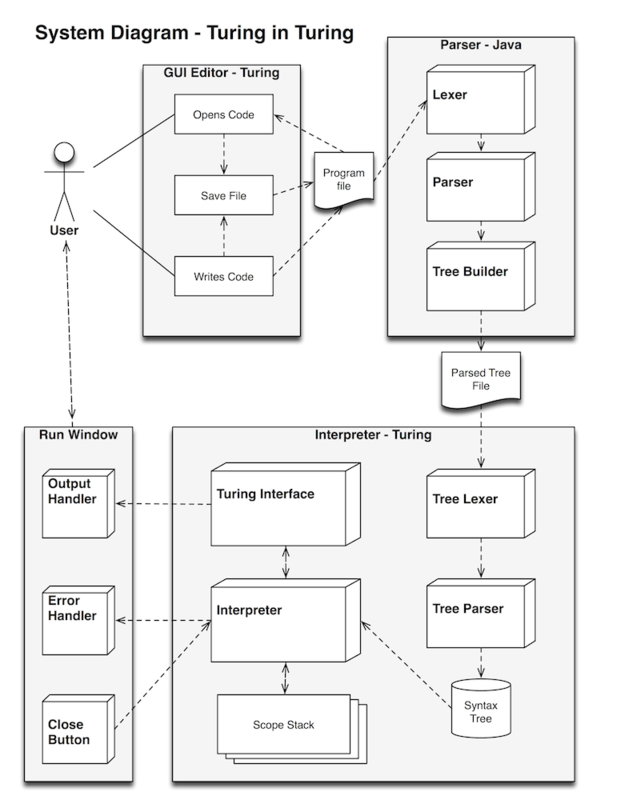 Turing in Turing is a reimplementation of the Turing language, within itself. It includes many new features including dynamic typing and non-annoying block endings. In Turing in Turing procedures are the same thing! You can call a function and not care about the result. 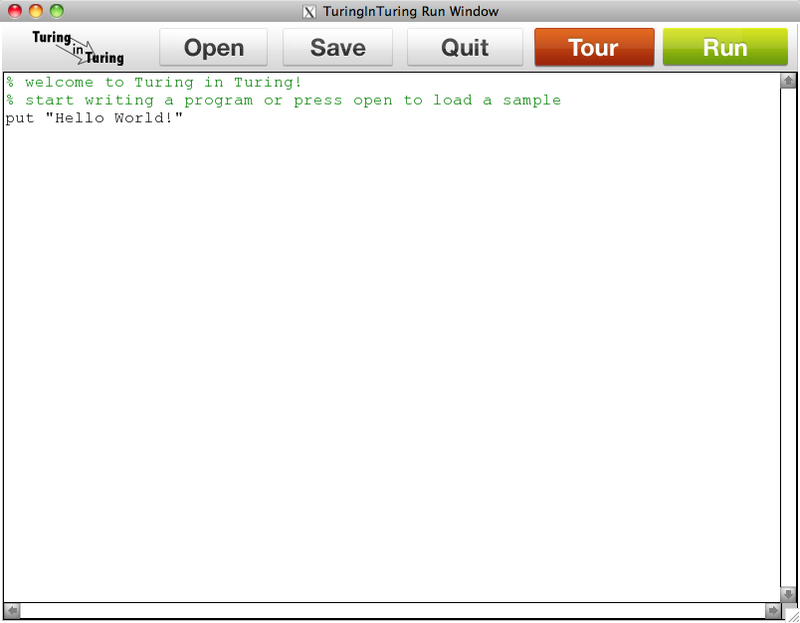 since Turing in Turing is dynamic you can avoid declaring the return type by using procedures. Yah, that is pretty annoying. First, the code is saved to a file. The program then uses Sys.Exec to run the java program that parses the file. The java program takes the file, parses it and translates it in to an easier to parse syntax. You can view the output in the file ast.txt. The Turing program takes this text file and parses it into a data structure called an AST (Abstract Syntax Tree.) Then the interpreter gets to work. It uses complex recursion to walk down the tree. When It encounters a node, it performs the action associated with it. A major project within a major project. It's like inception. Around the same number of lines of good code as Adam Bielinski's Forces.